Emergency Service 24/7 in hospital, plus house calls. Punta Mita Hospital emerges from the visionary experience of Dr. Najmabadi, Dr. Ohadi and Dr. Ahdoot (from Los Angeles, CA). They realized the limited access to quality health care services in the area and decided to make a difference in Punta Mita, Sayulita and the surrounding areas. 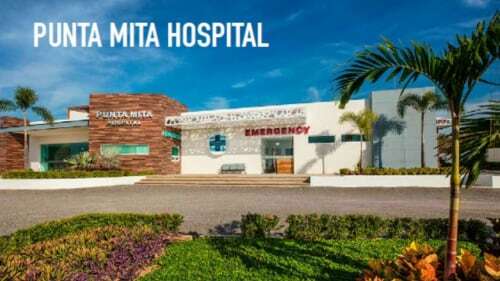 Punta Mita Hospital is the most equipped and nearest Hospital in the area, with a clear goal to provide knowledgeable and compassionate health care, with Emergency Services 24/7, ER Doctors and Pararamedics certified with ATLS and ACLS by the American Heart Association, Intensive Care Ambulances, X-Ray and Labs 24/7 for emergency situations and outpatients too. Our General Practioners and Nurses are also certified ATLS and ACLS. Two operating rooms where more than 60 surgeries have been performed since our opening last year ( June 2017). Private hospital suites, different specialists associates ( on-call ) as Traumatologist, ENT, Gastro surgeons and many more. Also Pharmacy Service 24/7. For those patients who are unable to leave their home or are more comfortable being treated there, we have House Call service 24/7 with exceptional medical care at hands of one of our doctors for your specific health needs within the privacy and comfort of your own home. A Free Emergency App Punta Mita Connect, available for iOS and Androids with GPS technology and a panic button along with other features created to safe lives. It is very easy to download and install and very useful for emergency situations. Punta Mita Hosptal also can synchronize your medical records with your Doctor back home and follow up your treatment with you while you stay in Punta Mita, and send back the follow up once you return home. We host the Punta Mita Fertility Center that offers top-class reproductive and fertility treatments with an IVF Lab and specialists on-site, to provide custom-tailor plan that suits the unique needs and goals of our patients. By the end of 2018 we opened our Intensive Care Unit (ICU), this 24 hrs Specialized Care in the hospital provides medical intensive treatment to patients with severe and life-threatening illnesses and injuries, who require constant, close monitoring by the internal specialist and support from specialized equipment and medications, all the previous available on-site, in order to ensure normal bodily functions. Also a brand new 64 slides Siemens CT Scan has been set and placed since September, the most advanced CT scans in Bahía de Banderas, able to diagnose abdominal, cardiac and brain conditions and offering evaluations on strokes, coronary angiograms, stomach or pelvic lesions and all normal diagnostic testing required by a CT scan within moments. Echocardiogram: To assess the overall function of your heart to determine the presence of many types of heart disease, such as valve disease, myocardial disease, pericardial disease, infective endocarditis, cardiac masses and congenital heart disease. Holter: With this small (palm -sized) battery-operated, painless and risk-free, portable device we can monitor your heart’s activity continuously for 24-48 hours. The results of wearing a Holter monitor will provide information to decide if you need more tests or medicines for your heart, or if you need a pacemaker or cardioversion procedure to restore a regular heart rhythm. Stress Test: Also known as treadmill tes, to find out how well your heart handles its workload. As your body works harder during the test, it requires more fuel and your heart has to pump more blood. The test can show if there’s a lack of blood supply through the arteries that go to the heart. Taking a stress test also helps the doctor to know the kind and level of physical activity that is right for you. EKG High Resolution: To record the electrical signals in the heart, to detect heart problems and monitor the heart's status. And now with our new CT-Scan, we are the only Hospital within this area, to have available advanced cardiology software, to perform Calcium Score and CT Coronary Angiogram. By the end of January 2019 we will open a Cath Lab, this will allow us to perform cardiovascular interventions and diagnose and treat heart related diseases. 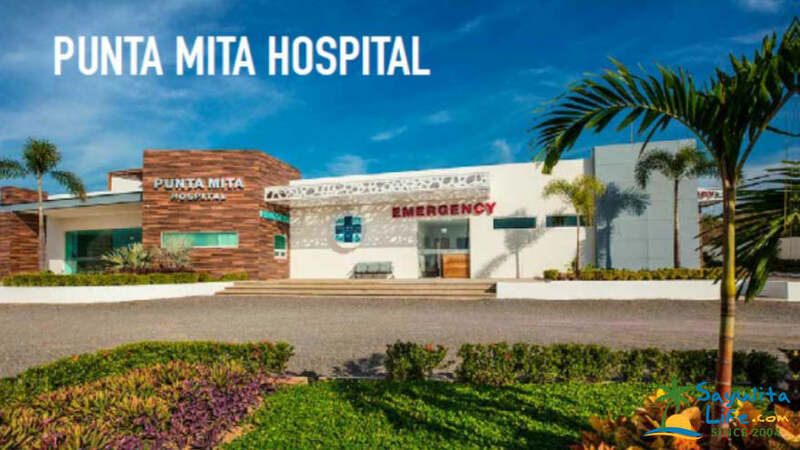 And finally the Punta Mita Hospital Membership Program, a program with benefits for property owners in Punta Mita that guarantees top quality health care as well as supporting the hospital in providing an open door for all those in need 365 days a year. For more information about all the services we provide, please check Menus & More Tab or send us an email via the contact form. I had a great experience in this hospital close to my home in Punta de Mita. I am on the mend and everyone took care of me. Thank you! Thak you for the opportunity of taking care of your health. And for your kind words, these is what nourish us and motivate us to improve everytime more. So fortunate to have Punta Mita Hospital in our backyard! We have used Punta Mita hospital on multiple occasions in the last year and have found the staff to be kind, knowledgable, and very supportive. The facility is clean, well equipped, and well run. 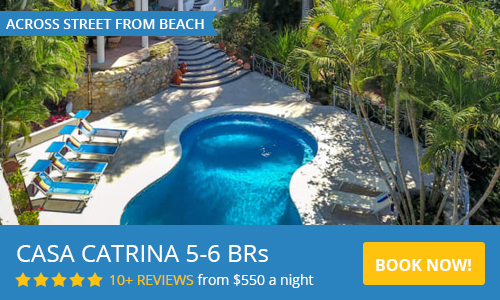 Their prices are reasonable and it is a really enjoyable drive from Sayulita. We highly recommend Punta Mita Hospital! Outstanding professionalism served with comforting kindness. Hard to begin, because there is so much to like. Everything from admission to discharge was just done so well. My wife had surgery on her broken arm last Tuesday at this hospital. We were shown such kindness during this tough time and they literally and figuratively eased the pain. I can't say enough about the staff and the expertly equipped facility. They brought in an orthopedic surgeon to handle the case fm the outside. Their selection and partnership with local doctors is amazing. I would never hesitate to return and we highly recommend this place. They are wonderful. Thank you for choosing us and the opportunity to take care of Mrs. Bayle. On behalf of all the staff we thank you for this review and wish you a soon recovery. Dr. Rivas and all of the staff at Punta Mita hospital recognize the value of comprehensive health care. Clean small hospital with professional attentive staff. Thank you for taking the time to leave us a review, we really appreciate every word your wrote. Definately the aspects you mentioned are important for us. Fantastic service. Highly recommend Punta Mita Hospital for all your needs. I live in Los Angeles the majority of the year. My home medical facility and doctors are all at UCLA. I am well used to the top medical services and facilities in the United States, if not the world. 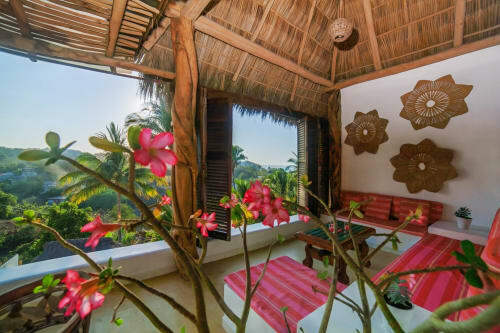 That being said, I am currently living in Sayulita as it is a second home and I am constructing a brand new gym. I had a medical emergency occur here that required a small surgical procedure. The team at Punta Mita Hospital was simply amazing. From the moment I walked in, to the moment I left, every attention to detail was given. I was kept overnight for observation and treatment and released the next afternoon. My entire stay was pleasant and the entire staff from front desk, admitting nurse, surgical team, and attending nurses and doctors were superb. They checked in on me routinely, prepared delicious meals, and they even prepared all the proper paperwork to present to my health insurance company back home in a neat packet before I left. I am very impressed with the level of the professional service at Punta Mita Hospital! It´s hard to imagine having a good time with four fractured ribs, but the stuff at Punta Mita Hospital made me so comfortable I forgot about the ribs. Everyone there was so kind and caring! My 3 year old son was sick with fever and took him with Dr. Salazar. I liked him very much he is great with kids. Luxury of quiet hospital is the amount of time that Dcotors can spend on consultation. DR. SAM NAJMABADI M.D. with more than 20 years of experience, is board-certified in Obstetrics and Gynecology (OB/GYN) as well as board-certified in Reproductive Endocrinology and Infertility (RE/I). CEO of the Center for Reproductive Health & Gynecology in California, and co-founder of Punta Mita Hospital in Nayarit. Mexico.